All I want for Christmas is clear skin! I’ve never had bad acne, but I’ve always consistently had oily skin and blemishes that never seem to clear up. Every time I’ve tried a new treatment or regime, it either dries my skin out or makes it worse. 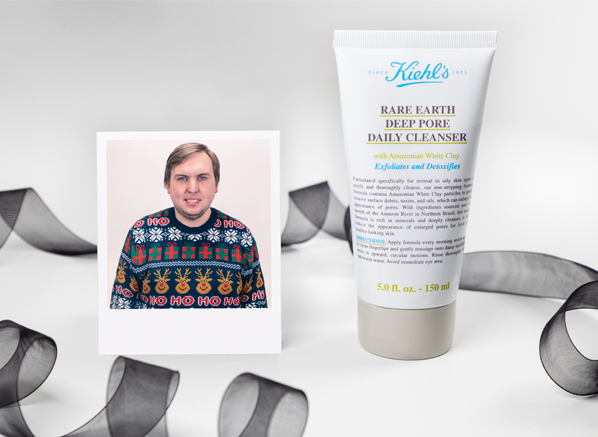 After reading the online reviews, I feel that will all change with Kiehl’s Rare Earth Deep Pore Daily Cleanser! The oat kernel meal in the cleanser is known for its anti-irritant and inflammatory properties, which is exactly what I’m looking for. Kiehl’s have been on my radar for a while (my wife loves their Midnight Recovery Concentrate), so now that they’re available from Escentual, I’m going to treat myself early this Christmas, so by the time the advent calendar is empty on the 25th, my skin will be looking radiant, clearer and fresher, ready for the party season! 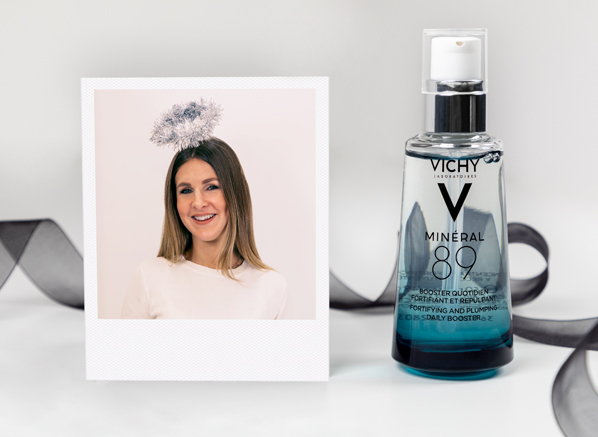 Since discovering Vichy Mineral 89 earlier this year, I wouldn’t be exaggerating if I said I was borderline obsessed with this product. There’s just something about its fresh, gel-like texture that my skin seems to adore and I’m totally addicted (you don’t even want to know how many bottles I’ve got through to date!). I have sensitive skin that seems to take on a different personality every day of the week. Sometimes it feels dry, sometimes oily and sometimes a bit of both, which certainly makes trying to find products that suit my temperamental complexion an interesting task! Luckily, Mineral 89 is suitable for all skin types. This hyaluronic acid infused serum not only leaves my skin beautifully smooth, hydrated and plump, but it has also resolved the problem I used to get with regularly occurring redness, irritation and dry patches. Its skin strengthening properties have really made a difference to my problematic skin. I can’t imagine my skincare routine without Vichy Mineral 89 anymore; I genuinely feel nervous when my stash gets low! So if anyone is looking to buy me a stocking filler this year, this would be top of my list! You can read what the other team members think about Mineral 89 here. I have been a very, very good boy this year, so this Christmas, I’ll be asking Santa for a fragrance I’ve had my eye on ever since it launched on site: MUGLER A*Men Pure Havane. This Eau de Toilette is an alternate take on the A*Men franchise with the infusion of Cuban cigars, which in my opinion, works perfectly. Its narcotic aroma suits the drab and dark evenings of winter with a warm hug of gorgeous MUGLER scent, definitely a head turner in the best way possible. As much as I love the bottle and the juice, the main reason I want this scent is the fact that my wife likes this fragrance enough that she would wear it too. 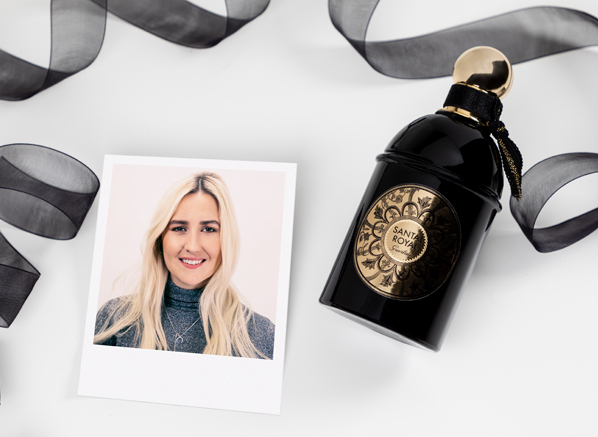 To me, it’s the perfect scent to share and wear together on nights out with friends or family – I love how it works for both of us in different ways! Typically, anything with vanilla in the heart or the base and I’m generally there, on the other hand, she is not! Since my wife became pregnant, she hates all her usual fragrances, so when she smelled this and liked it, I was gobsmacked – she’s usually not a fan of the heavier juices I tend to like! When I say power brow I mean significantly darker than they should be, and mine need to be considering I have yellow (yes, yellow!) hair. Other musts for my brows are that they need to be symmetrical and ready to survive a heavy gym session! I’m a huge fan of many Benefit products, and that’s why this little beauty is at the top of my list. 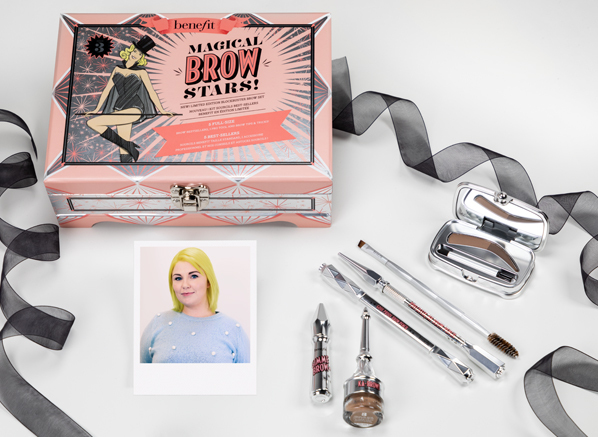 The Benefit Magical Brow Stars Gift Set ticks all the right boxes, and it means I can expand my inventory of brow essentials! Anyone that knows me knows that I can’t leave the house without a signature bold lip, so the new The Slim lipstick is what I will be lusting for this year. 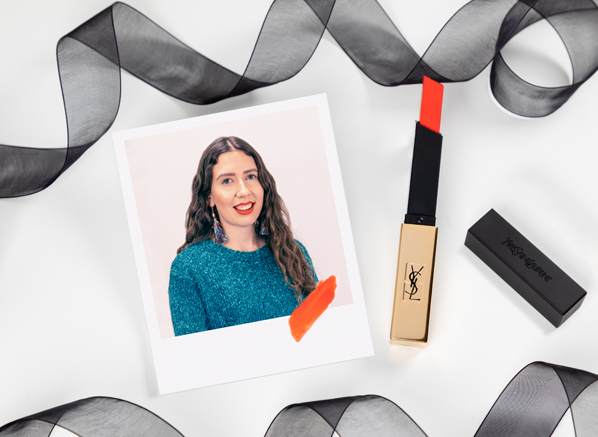 I dress head to toe in colour, and the striking and vibrant hue of YSL The Slim in Strange Orange spoke to me straight away; I just know that it will make the perfect finishing touch to every look. Taking its inspiration from the sleek designs of the Saint Laurent catwalk, the edgy, square bullet makes applying your lipstick a breeze! Yves Saint Laurent makeup is instantly recognisable for its exquisite gold packaging, so who wouldn’t want to open this beauty on Christmas day? Throwing it back to the Beauty Team’s 2016 Hall Of Fame, GUERLAIN Santal Royal was on my wish-list back then, and still, to this day it’s at the forefront of my mind when it comes to what I want for Christmas. The reason why I lust lovingly after Santal Royal is not just for its gorgeous bottle – it’s much more than that. I have a penchant for any scents that are a bit mysterious (and that last long). The woody, smoky sensuality of this scent is perfect for me; I believe I’ve finally met my fragrance match here! It’s funny because, after all this time, I’ve bought Santal Royal for others, but I’ve never bit the bullet and treated myself. So, this year, I’ve set myself a target, if I manage to finish the year achieving my 2018 goals, I’ll reward myself with this fragrance. After all, a new year of adventure should always start with a fresh scent, right? ; Wish me luck! It was only just a few months ago when Urban Decay announced the unfortunate loss of the most iconic eyeshadow palette of all time (the original Naked). Just a week after the devastating news, Urban Decay has done it again, adding the most gorgeous palette to their iconic Naked collection: Naked Cherry; no wonder this crimson inspired collection is breaking the internet and is most certainly at the top of my Christmas list this year! Naked Cherry will most certainly be my go-to for every occasion whether it’s a day at the office or a glamorous night out. From Bang Bang, a gorgeous sparkling pink to Bing, a deep mauve matte. There is a shade or texture to wear for every occasion and it’s the perfect palette for this festive season – take a look at the swatches and see for yourself! Makeup should be the last thing on my Christmas list; my dressing table drawers are literally bursting with beauty. But the allure of the Shiseido Aura Dew is just too much, and I think it will be for you too! Aura Dew, or those that haven’t come across it yet, is a gel-cream highlighter that comes in 3 shades; my favourite is the neutral gold hue, 02 Solar. What makes this highlighter so special is the finish it leaves on the skin, it’s made with light refractive technology that illuminates the high points of your face in a natural and ethereal way. The gel-like texture also helps the formula blend into skin with the lightest touch, which is perfect because the smallest amount goes a really long way. You can see it on my skin here. Ever since Aura Dew landed on my desk at launch, I haven’t let it go. 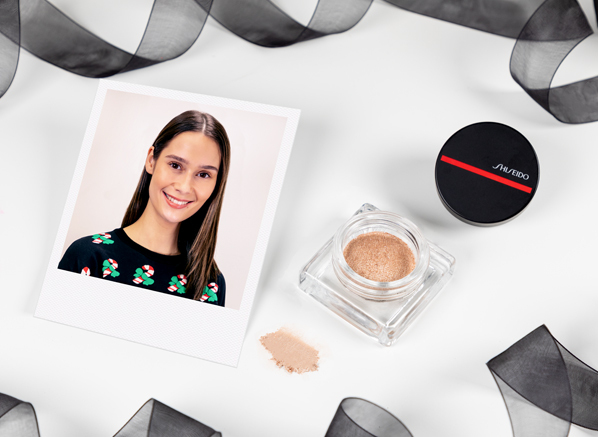 Whenever I’ve had the chance I’ve been wearing it on my eyes, cheekbones, cupid’s bow and well, anywhere I could! That’s why I cannot wait to get my hands on my own for Christmas, and I’m sure the Escentual team can’t wait for me to give the tester back! 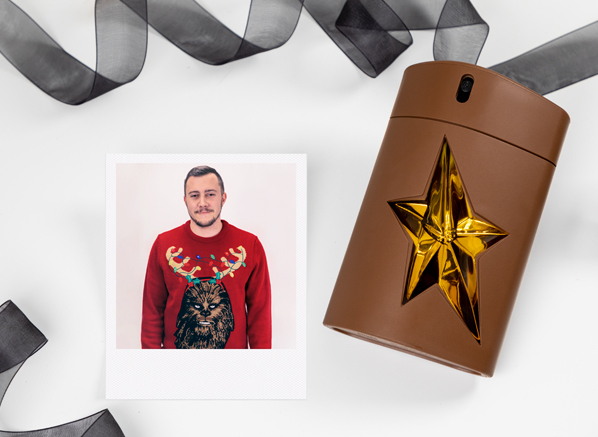 This entry was posted on Tuesday, December 18th, 2018 at 6:39 pm and is filed under Christmas, Christmas Gifts, Fragrance, Gifts, Lifestyle, Make-up, Men, Skincare, Trends, Tried & Tested. You can follow any responses to this entry through the RSS 2.0 feed. You can skip to the end and leave a response. Pinging is currently not allowed.